Attic Comfort LLC was founded to educate North Texas homeowners and equip homes with state-of-the-art energy saving technologies designed to save as much as 30% or more on annual cooling and heating costs. We are proud to be locally owned and operated. A basic law of physics is “Heat Rises”. As a result, much of your home’s energy could be escaping through your roof. Sadly, up to 33% of the energy produced by your home is lost through the roof, walls or ceiling. Energy efficient roofing technology has been slow progress over the past century. Modern technology is now changing that. Better materials and methods can markedly increase your home’s energy efficiency. Because heat rises, in the winter it is important to have a roofing energy design that will not allow the heat to leave the house. During the summer months, the heat can get trapped in the roof or attic and will reduce the ability to keep your house cool. Also, it is important to make sure your roof is properly ventilated to allow moisture and condensation to escape. 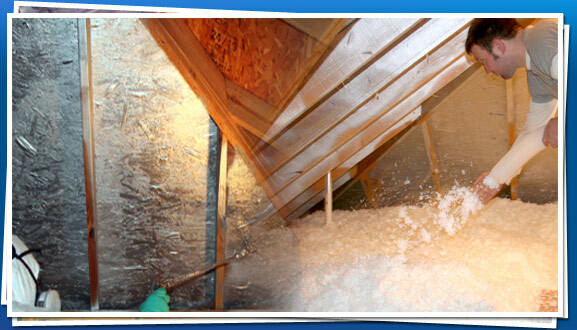 When thinking about energy efficiency in your roof and attic, pay close attention to two areas – roofing type and insulation. Note however, that the cost involved in upgrading is often a deterrent to performing the work, as a new roof and insulation could exceed $10,000. Fortunately, there are a number of options available to homeowners whether they choose to spend the money or not. Each comes with its own set of pros and cons.